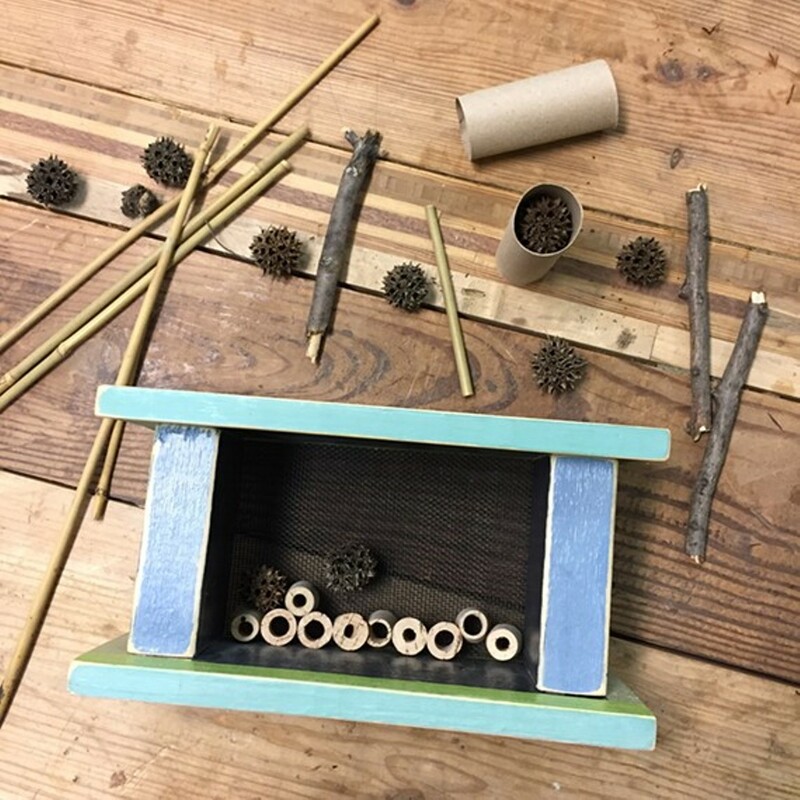 Materials saved from the landfill: scrap wood, window screen, cardboard, plant material Skills you’ll learn: Stenciling on wood, good salvaged materials for pollinators Build an attractive garden home out of wood for native bees and other valuable pollinating insects. With the wood cut ahead of time, the class will focus on assembling the pollinator houses and finishing the wood by sanding and painting. The class will paint their pollinator homes with eco-friendly milk paint and decorate the surface with stencils. 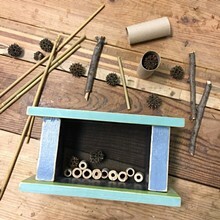 Fill your pollinator house with collected natural materials just right for the bugs you want to attract to your yard.